It’s been over ten years since the release of Tales of Vesperia, regarded as one of the finest JRPG titles from the Tales series of games. 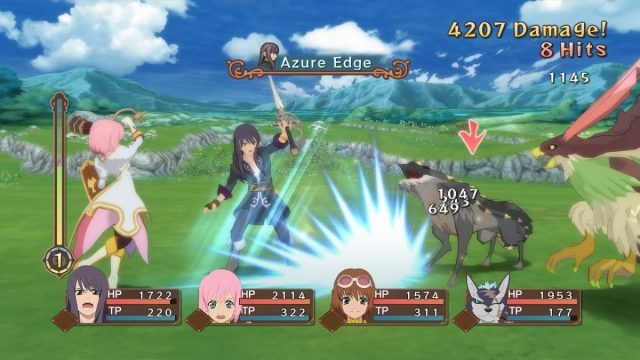 Naturally, Vesperia is now back with a shiny new remaster, to introduce new players – or reintroduce old ones – to the world of Terca Lumireis. The story follows the journey of former soldier-turned-criminal Yuri Lowell, as he journeys across Terca Lumireis to retrieve a blastia core (a piece of ancient technology that powers whole cities with energy) that was stolen from his neighbourhood. He is joined by a cast of wonderfully different and quirky characters that aid him on his journey. 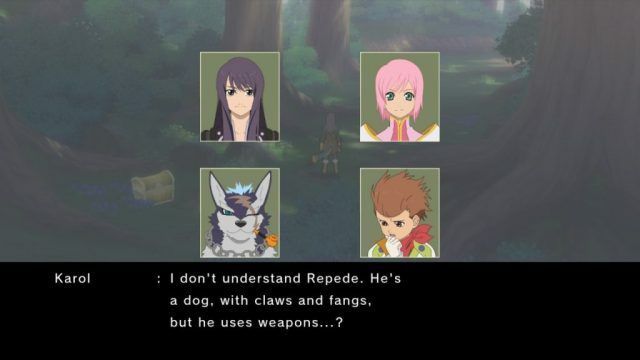 They include Yuri’s four-legged companion Repede, who identifies himself as neither canine nor human; Estelle, a princess who is book smart but not street smart in the search for Yuri’s close friend and former colleague, Flynn Scifo; Karol Capel, an upstart young member of the monster hunting guild Hunting Blades, whose considerable knowledge about monsters is equaled by his lack of courage to face them; Rita Mordio, a quick-witted, intelligent blastia researcher whose bark is sometimes as nasty as her magic-fuelled bite; Raven, an enigmatic ladies’ man who is the oldest member of the party; and Judith, a physically-adept lance-wielding Krityan (ahem, elf) woman whose focus is destroying blastia across the world. Accompanying the remastered group are two more playable characters who were previously only exclusive to the Japanese PS3 version of the game – the aforementioned Flynn Scifo, a dutiful but compassionate Imperial Knight who is often at odds with the vigilante lifestyle that Yuri lives, and Patty Fleur, a quirky girl who dreams of becoming a legendary pirate. Together, they form an independent guild called the Brave Vesperia, as they learn more and do something about the state of Terca Lumireis, its guilds, and how the overuse of blastia is negatively affecting the world. 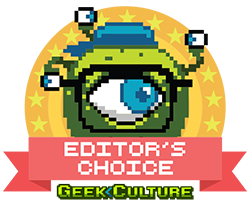 It’s a scintillating adventure that spans roughly 50 hours but paces it in such a way that is made digestible for new players. 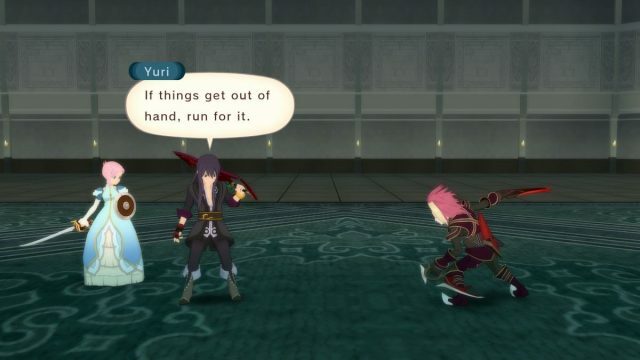 Without much spoilers, and using the example of the main character, Vesperia starts off rather slow, with Yuri having only one main goal, and that is to retrieve the stolen blastia core to bring stability to his neighbourhood once more. He is also generally very aloof about things and cares little if people come and go from within the party. There are some precious moments where we see bits of Yuri’s chivalrous Knight-like protective instincts at times, which is great to watch. 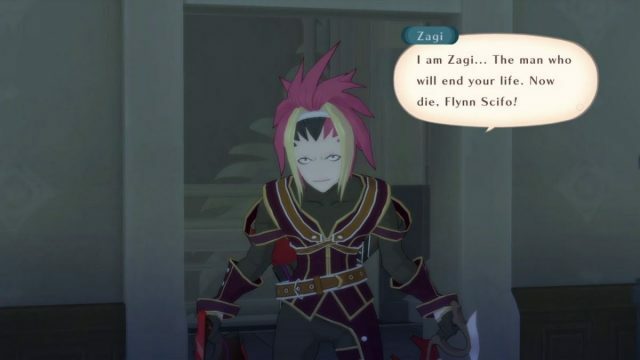 The rivalry between Yuri and Flynn is easily one of the more enjoyable friendships in the Tales series. However, as the story unfolds, we see more of Yuri’s goal evolve, and as such, his character. His reluctant hero instincts come to the forefront as he starts to care for his newfound companions. 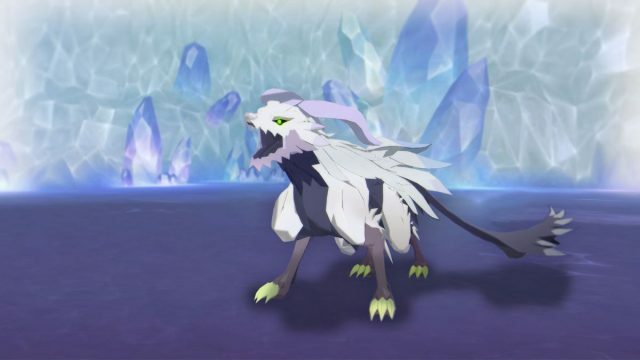 His relationship with each of them (sans Repede, who is always his best friend) evolves too and strengthens over time. Likewise, his companions each have their own individual arcs, and their character development is well-paced and well-earned by the time the game ends. The villains are just as over-the-top and downright crazy too. 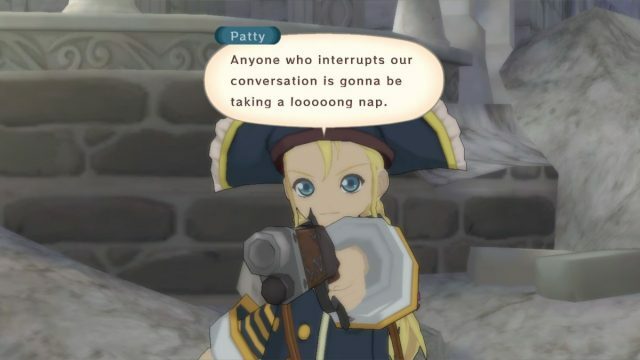 While this is typical of most JRPGs, Vesperia does it in a way that captivates you in the most subtle of manners. Aside from combat, which we’ll get to in a bit, the game is actually quite relaxing and pleasant to play. 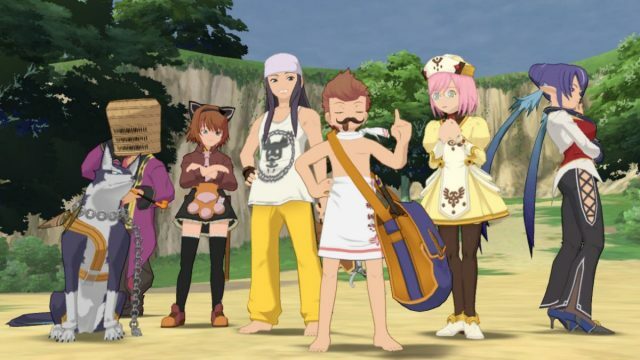 This is mainly due to the fact that there are these bite-sized scenes in between adventures called “skits” – one of the many trademarks unique to the Tales series – that showcase the characters interacting among each other. These normally occur after main story events, the joining of a new party member, when the group enters a new location, and so on. The humour is rife in the banter (which is fully-voiced in both English and Japanese for your listening pleasure), which will keep you grinning and chuckling absent-mindedly as you watch them bicker and laugh with each other. The cantankerous Rita can’t stand Raven’s ogling of women, and demonstrates it quite physically. 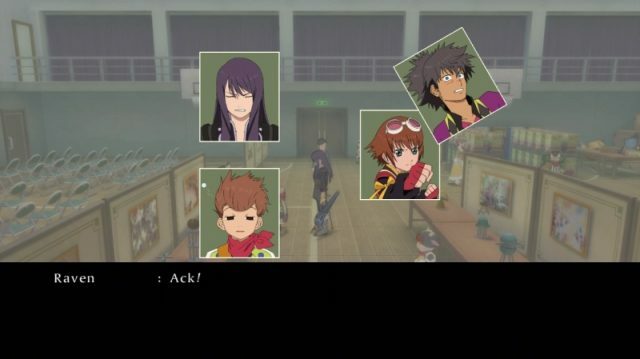 These skits are what make the typically standard-fare story of Vesperia so much more enjoyable because it is in these small moments that you get a great deal of characterisation from each of the party members. 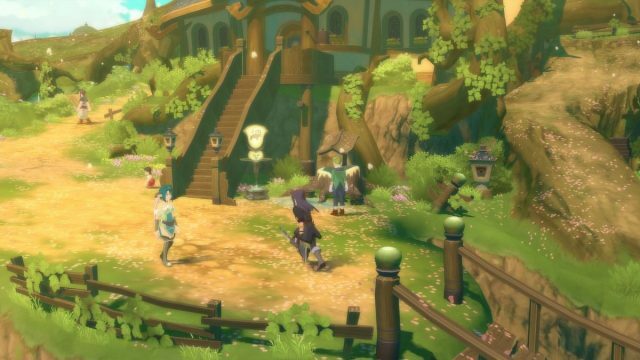 As a fantasy JRPG, colours are vibrant as they come in Vesperia – a sight for sore eyes in contrast to the muted, gritty colour palettes of today’s AAA titles. The art direction evokes a sense of whimsy, all enhanced for your viewing pleasure by current-gen hardware. 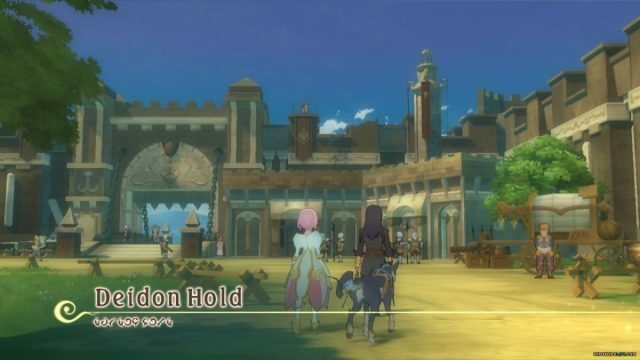 Halure, one of the most beautiful locales in Vesperia. Character models and assets look much sharper and detailed with the cel-shading, although you’ll definitely notice that the game has aged in an era where technology evolves by the week. Despite this, the game is quite densely populated, especially in town areas. The NPCs don’t do much, but at least you’re not feeling like you’re walking in a ghost town. Deidon Hold’s angularity as a fort is a great contrast to some of the more whimsical towns in the game. Vesperia’s music is uplifting, ear-catching and intense. The background music is generally light and melodic, which suits the whimsical nature of the game, but at times when things get really dramatic, it hams it up to 11. It’s no surprise, considering the fact that the main composer for the Tales series is the legendary Motoi Sakuraba, who also helped out in the awe-inspiring Dark Souls trilogy, as well as the upcoming Sekiro: Shadows Die Twice. You’d be surprised at how well the music amplifies the storytelling capabilities of Vesperia, as well as how much it pumps adrenaline into your veins in combat. The bass-fueled rock and dance tracks when you chain combos is so gratifying and gives you that motivation to down your foes within the next few seconds. The boss battles provide some of the most intense, blood-pumping music in the game. And when all is said and done, the tender moments are accompanied by soft strings that ease you into those heartfelt scenes shared by the characters. 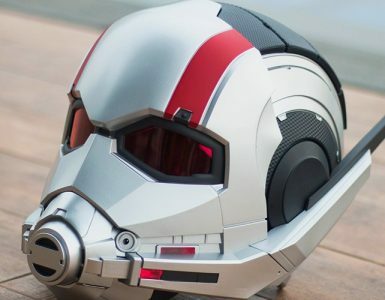 Fans of the original game will be delighted to hear that a large portion of the game has been voice-acted, providing much more immersion than before. The game also does you good favour by allowing you to change between Japanese and English as you see fit each time you boot up the game. 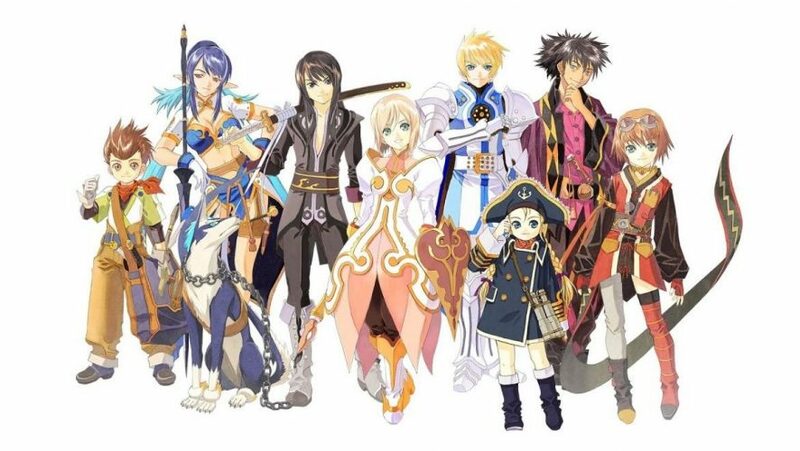 Just to remind you anime fans out there – the seiyuu (voice actors) in Vesperia are top-class: Yuri is voiced by Kousuke Toriumi, who played Kiba in Naruto; Flynn by Mamoru Miyano, who most would recognise as Light Yagami from Death Note and Ryuji Sakamoto from Persona 5; and Estelle is played by Mai Nakahara, who is Juvia from Fairy Tail. Couple that with good writing and you have yourself a blockbuster of a story. This is the same for the English voice acting… but it’s weird. Somehow, Bandai Namco wasn’t able to get Yuri’s original voice actor, Troy Baker (The Last of Us, Uncharted 4, Middle-Earth: Shadow of War), to come back and voice the additional dialogue. Instead, they brought on George Grant (Ace Combat 7, Soulcalibur VI) to attempt to sound as close as Baker, but the attempt ultimately falls flat and breaks immersion for those more used to Yuri’s original voice. That is not to say that Grant’s voice acting isn’t good (far from it actually), however, it’s just jarring to have a character sound a certain way for one moment, and then oddly shifts to a different voice in another. 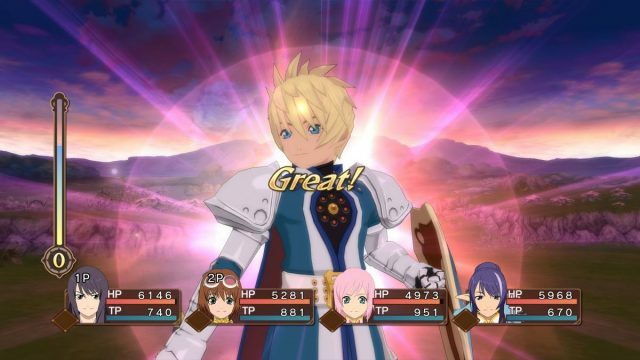 Minor gripes aside, Vesperia’s UI feels relatively clean and easy to navigate. Within about two button presses, you’re in the sub-menu you’re at, and in the same amount of presses, you’re out. The button mapping is generally well done, with nearly every button put to task. And not forgetting, the game runs (mostly) at 60FPS, even on a first-gen PS4 (which this game was reviewed on). The only times it dips is when in a densely-populated town, or during a cutscene that has a lot of characters or assets in it. The combat doesn’t get affected, thankfully, which matters a ton. 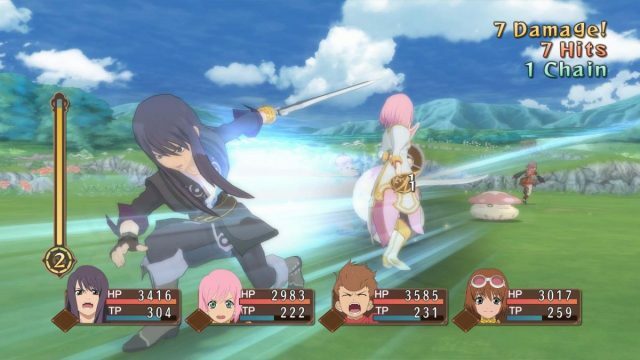 Speaking of combat, that is where Vesperia – and the Tales series, for that matter – separates itself from other popular JRPGs. 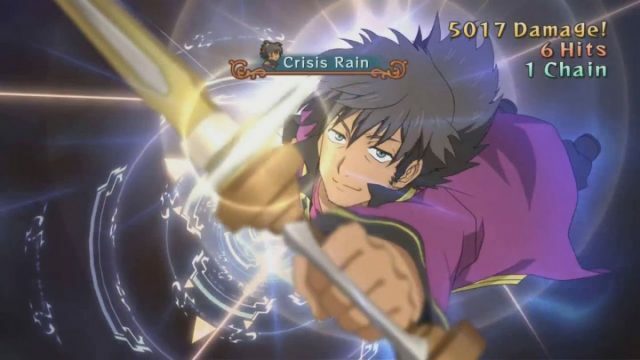 Since their inception back in the ’90s, the Tales series have utilised the Linear Motion Battle System (LMBS) unique to the franchise. 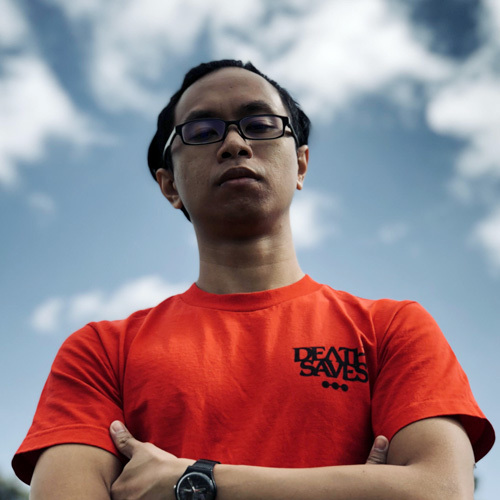 It’s a battle system that’s easy enough to learn, but really hard to master, because it is real-time and purely skill-based, unlike your traditional turn-based gameplay such as Final Fantasy, Dragon Quest or Fire Emblem. 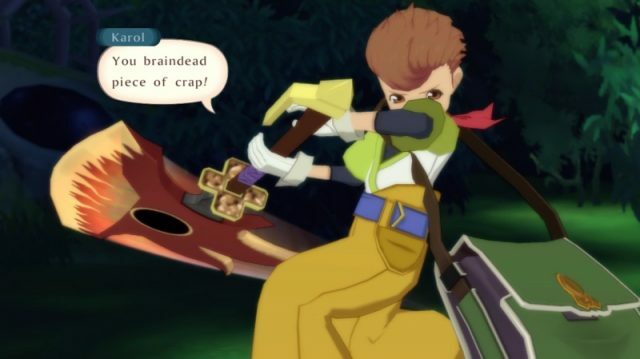 Granted, being an older game than its current-gen siblings Zestiria or Berseria, Vesperia’s combat is simpler, but only slightly. And still really cool-looking, despite being 11 years old. Basically, you will control one character manually, while the rest of the party runs around aiding you via a pre-programmed AI, which can be changed in the character’s tactics screen. The cool thing about the AI is that the pathing is really quite intuitive and intelligent, reacting to certain triggered conditions quite well, unlike in other games. What’s more is that you can customise it not just outside of combat, but also as you fight, giving you a bevvy of tactical choices available to you when you approach the harder encounters later in the game. What makes the combat even more in-depth and ultimately more satisfying once you understand it’s inner workings s the Arte and skill system. Artes are the combat abilities that are unique to each character, giving them different (and oftentimes extremely flashy) ways to defeat enemies. They’ll learn new Artes as they level up, story events, or equipping certain weapons. These Artes can be chained with proper timing and, later on, can even be Altered, transforming into stronger, more improved versions. Mid-game onwards, you’ll have access to Mystic Artes, the special “finisher” moves for each character. Not enough, you say? There are different versions of these Mystic Artes that can only be achieved if you a) use X skill Y number of times, b) equip certain pieces of gear, c) have a specific person synthesize said gear, or d) all of the above! On to skills. These are passive abilities that you’ll learn by equipping and using weapons and secondary weapons found or synthesised over the course of your playthrough. Take note, though, that each skill takes up a certain amount of Skill Points (SP), and you only have so much, so you’ll need to consider which skills you need to complement that particular character’s playstyle. Oh, and remember those Altered Artes? 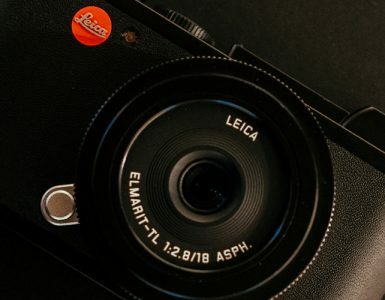 Yeah, the skills required to learn them are part of your loadout as well. But not to worry, once you’ve learned those, you can unequip those altering skills. 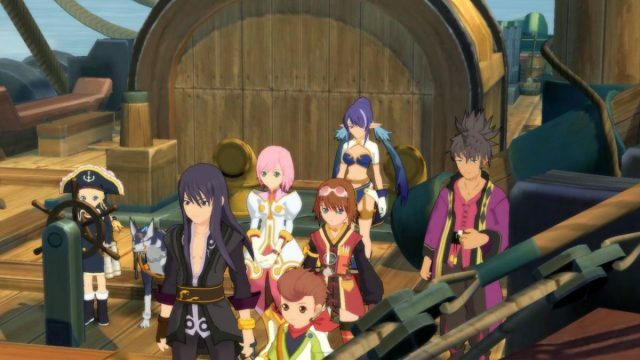 For those of you who enjoy customizing the looks of your favourite characters, Vesperia gives you those options as well, and with the Definitive Edition, you’ll get costumes that were previously exclusive to the Japanese PS3 version. Did we mention that they are free? Yes, Karol wears just a towel in one of them. 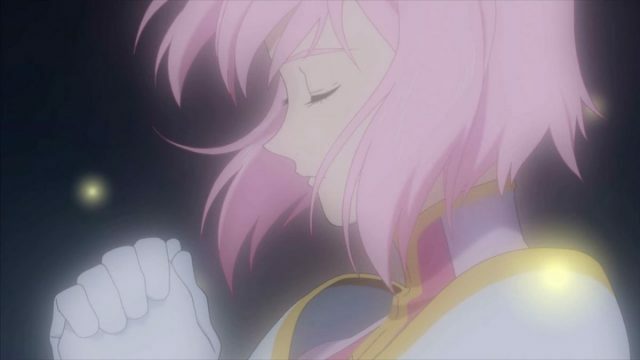 The side content in Vesperia is very much present, but you’ll have to keep track of those yourself. This is very much in line with how previous-gen JRPGs work: there’s a whole iceberg worth of side content available, but you’ll have to do the digging. These can range from defeating a roster of super-powered optional boss monsters, to… arranging boxes in a warehouse. 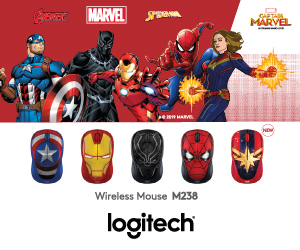 Yes, we kid you not. That said, invest enough time in these side quests, and you’ll be rewarded, most of the time very handsomely. But if you’re not a trophy hunter and just want to breeze through the main story, then you shouldn’t worry about these too much. Likewise, there are secret missions in most boss fights that you can try to accomplish, though you’ll probably need to do a bit of digging to find out what each one is, and even more patience to actually achieve them because some secret missions require millisecond-perfect timing in order to pull off. This “Great!” mini cutscene is so satisfying to see once you accomplish a secret mission. The Definitive Edition now comes with leaderboards with which you can compare your personal achievements with your friends, or with the wider community. These achievements range from story completion time, to how quickly you cleared the solo Melees in the Coliseum, and more. An interesting addition, to say the least, especially if you’re an avid speedrunner. 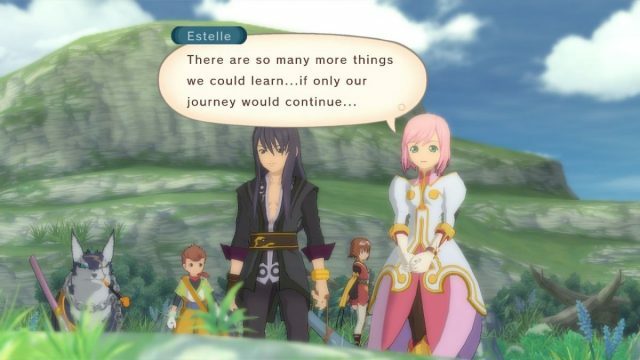 When all is said and done, Tales of Vesperia: Definitive Edition is one hell of a ride. 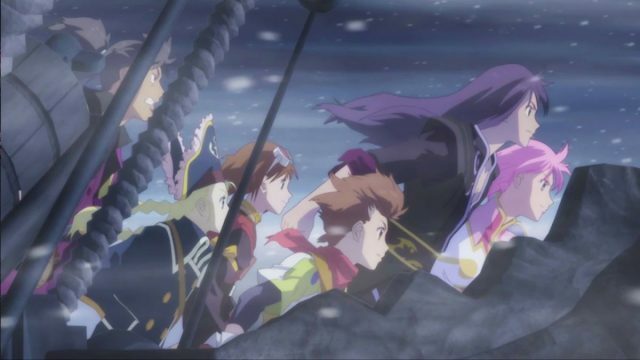 Being one of the best Tales games in the past era of consoles, it was inevitable that Bandai Namco would re-release Vesperia on current-gen consoles. 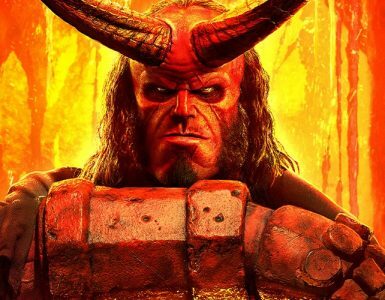 Sure, it looks dated at certain points, but after the first few hours, that shouldn’t matter anymore, because the story and characters are full of heart and charm, and will tug at your heartstrings, making you wonder why you never picked it up all those years ago. 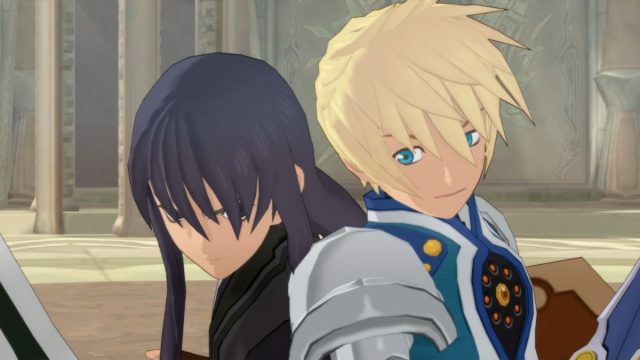 Tales of Vesperia: Definitive Edition is a remaster worthy of gracing your storage space and one that publishers should look to emulate, with an entire game plus previously-inaccessible content now made available for all to enjoy.